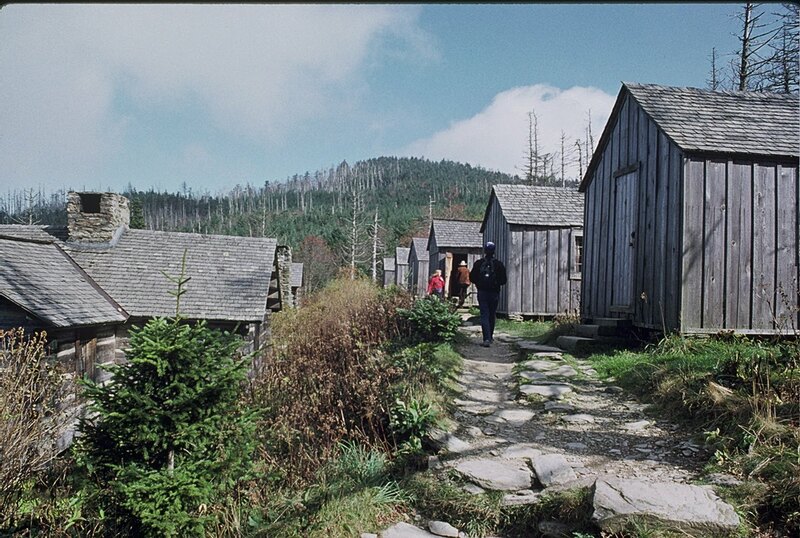 It's been 20 years now since our love affair with the Great Smoky Mountains National Park began on Memorial Day weekend in 1990. 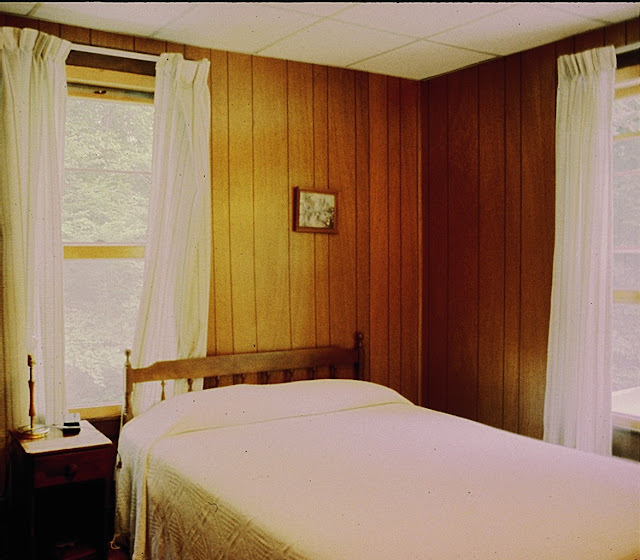 In preparation for that first trip to the Smokies, I called the Chamber of Commerce or the Bureau of Tourism or whatever I could find for the area, to inquire as to what sort of lodging was available. I was particularly interested in learning whether any lodging was available inside the national park. 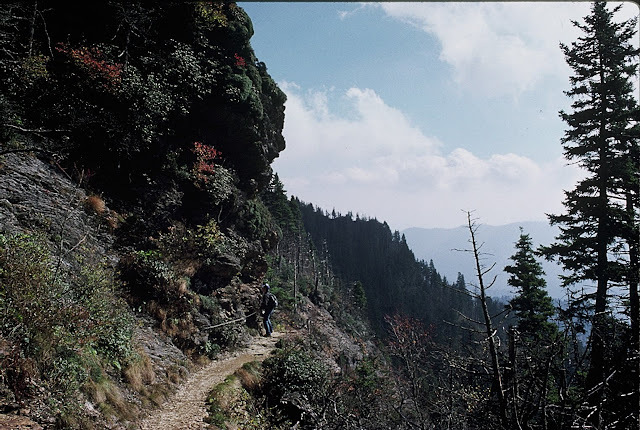 I was told that the only options for lodging in the park were the Wonderland Hotel, described as "rustic," and LeConte Lodge, to which the only access was by trail, the shortest of which was five and a half miles. I asked what seemed like a logical question to me: How do you get your luggage to LeConte Lodge? My informant said (possibly with a smirk in his voice) that most people just carry the few items that they would need for an overnight stay. 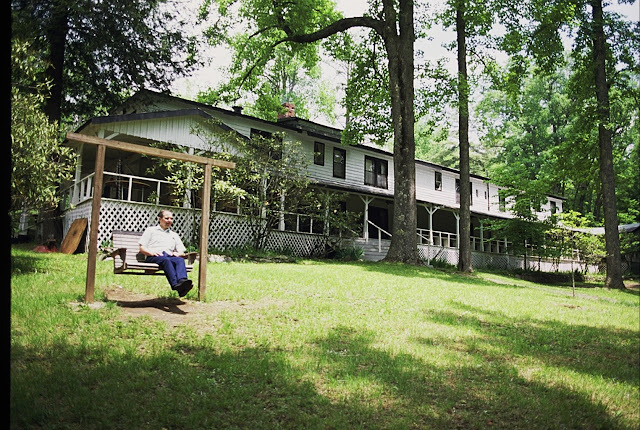 The general idea is to walk to the lodge one day, stay overnight, and walk back the next day. 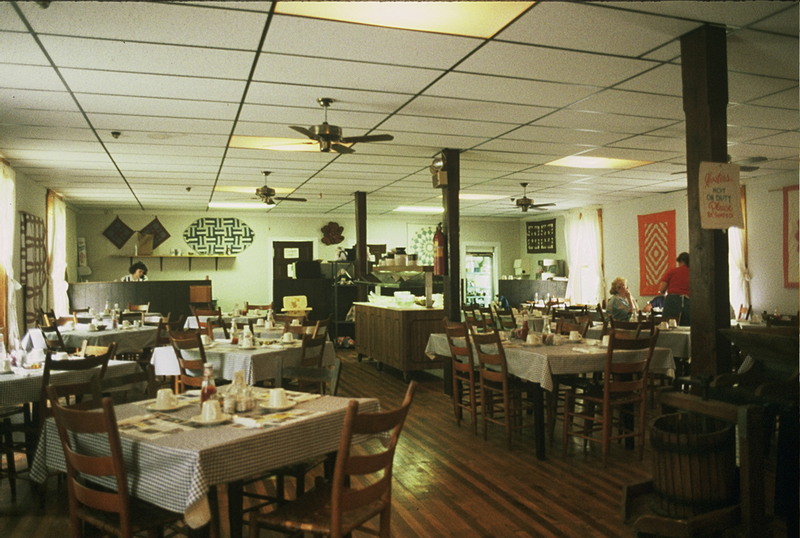 The lodge provides dinner on the night of arrival and breakfast on the day of departure. And they did have an opening for one of the days we would be in the Smokies. So I booked it. That left the Wonderland Hotel as the option for the other days. I asked what "rustic" meant. They said the hotel had no televisions or telephones in the rooms. Well, I thought, we can handle that. So I booked a room at the Wonderland for the other days of our stay. At my first sight of the Wonderland Hotel, my heart just sank. I wondered what I had gotten us into. The building was very old, with paint peeling and a tarp on part of the porch roof, apparently to keep rain out. The parking area was in the back of the building, so we walked around to the main entrance. As we did, I looked over at Doug, expecting his expression to be a reflection of my own doubts; but I found him smiling like the proverbial cat that had swallowed the canary. 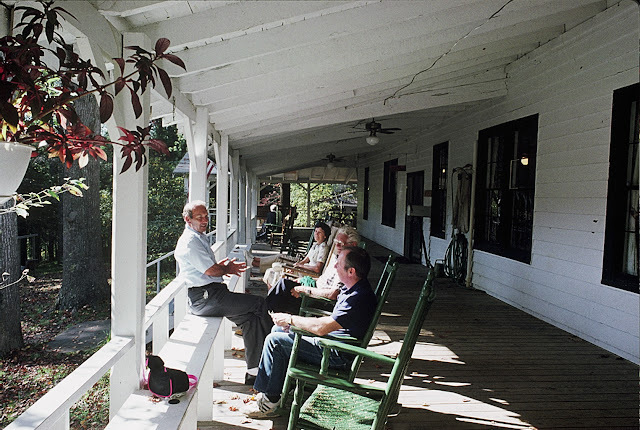 Running along the entire front of the building was a long porch, lined with rocking chairs, and having a beautiful view of Blanket Mountain in the distance. We went inside to check in, and everything looked very clean. My hopes rose a little. The first floor included a large lobby, with the reception desk occupying one end and a gathering area occupying the other. 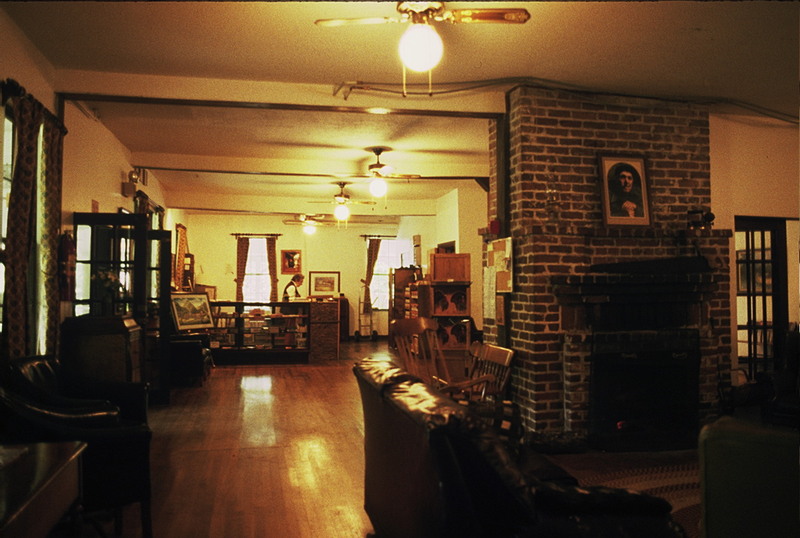 The gathering area included several items of comfortable-looking furniture, some game tables, and a fireplace. There was also a ballroom, as well as a dining room. All the lodging rooms were on the second floor. We were given the key to our room, which was located at the top of the fire escape ladder, leading up from the parking lot in the back of the hotel. We unloaded our vehicle, carrying our things up the fire escape and into the room. Our room was to the left of the fire escape. The room itself was very small, but clean. There was a sink in one corner. The tiny bathroom appeared to have been a closet at some time, before plumbing was added. It contained a toilet and the smallest shower stall I'd ever seen, with barely enough room to turn around between those two necessities. The room had two windows: one facing Blanket Mountain and the other facing the fire escape, which was not only the main access to the lodging rooms but also a place where some guests would stand and smoke or just visit with each other. The window coverings were nothing more than sheer curtains. So, to avoid being seen by the constant traffic on the fire escape, it was necessary to undress in the dark. 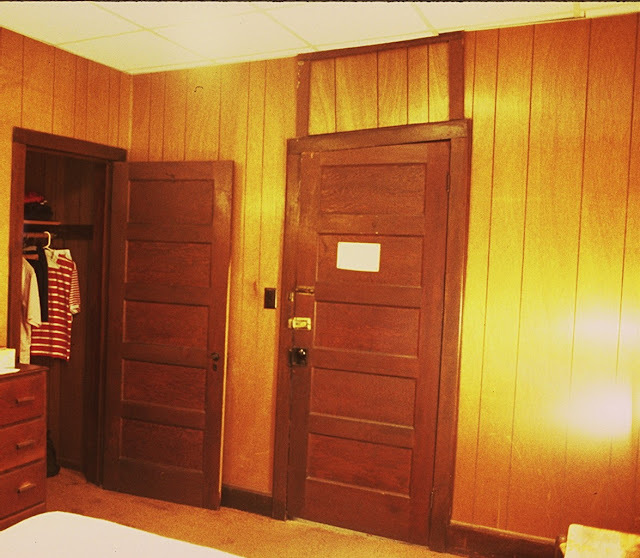 All that separated our bathroom from the bathroom of the neighboring room was a thin sheet of paneling. And both bathrooms shared a window. The paneling dividing the two went to the windowsill, leaving a gap that you could put your fingers through and wave at the person on the other side, if you were so inclined. And you could hear every sound from the other room, some of which would send me into a fit of giggles. But we found ourselves falling in love with the place. It was quaint. It was charming. It was peaceful. It was in a beautiful setting, and there was even the sound of a cascading river wafting up through the trees. We spent a couple of days, just enjoying the Wonderland Hotel and exploring some of the beauty of the national park. Then it was time to go to LeConte Lodge for our one-night stay there. You know, in our part of Indiana, the thought of walking five and a half miles isn't really that daunting. You have to look long and hard to find a hill where we come from. On the other hand, in the Smokies, you have to look long and hard to find a flat spot. So the realization began to dawn that the hike to LeConte Lodge was going to be UPHILL! 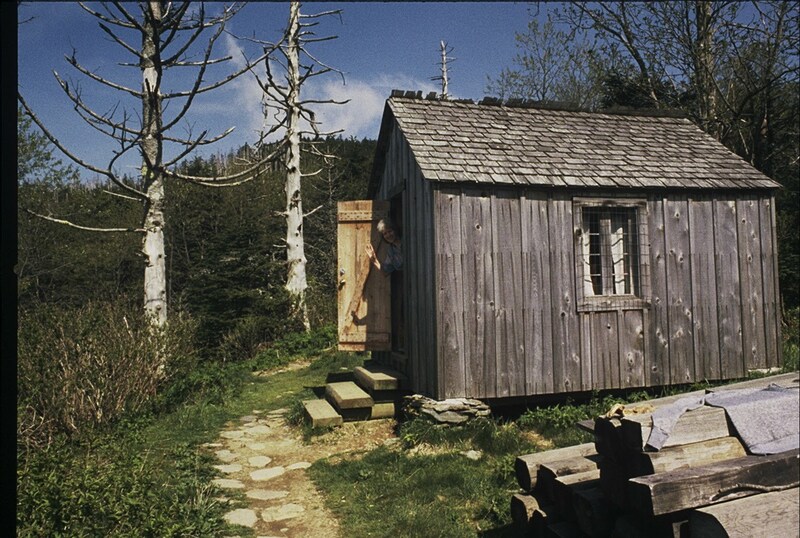 There are several different trails leading to LeConte Lodge. We chose one that was seven miles long because it was said to be less steep. Well, let me tell you, it was HARD. Neither of us had ever done any hiking, and we weren't prepared for a hike of this magnitude. We didn't even have the right footwear...just tennis shoes. But we made it. After that grueling hike, I didn't want to walk another step, but the scenic view that was one of the main reasons for making the hike was another half-mile or so. It was worth it, though. Magnificent view. Later, as it began to get dark, we went to our cabin to settle in for the night. The cabin was furnished with double bunk beds, a wooden table with a wash basin, a kerosene lamp, and a kerosene heater. We decided to put our things on the bottom bunk and sleep in the top one. When we returned to the cabin, after enjoying the view from the cliffs, we found one of our candy bars on the floor. It had apparently fallen off the bottom bunk, where we had left all our gear. Doug put it back, and we got ready for bed. After we got all settled in and things got quiet in the cabin, we heard a thud. With the aid of a flashlight, we saw that the candy bar was back on the floor. Doug got down from the upper bunk, put it away; and we settled down again. Pretty soon, there was another sound. Long story short, we had a mouse (or mice). Doug got up and took all the food items and placed them on the wooden table, under the metal wash basin. Then he hung our backpacks on hooks on the wall. When he came back to the top bunk, he brought our shoes with him. Poor Doug was awake all night. We don't know if it was multiple mice or just one very pesky mouse, but we were terrorized all night by them or it. Finally, about four in the morning, Doug spotted a mouse on one of our backpacks, hanging on the wall hook. Doug used to play a lot of baseball, and he's got a pretty good throwing arm. He took one of his shoes and threw it at the mouse on the backpack. We never found the little guy, but he left us alone for the remainder of the night. Our night on Mount LeConte also included a big storm with strong winds and things bumping against the outside of the cabin. Then, after the storm, I needed to go to the bathroom, which was down the path toward where we had seen a black bear earlier in the evening. So Doug escorted me to the facilities and back. The next day, we hiked back down the trail to our car; and I think the hike down was worse than the hike up. By the time we made it down, I was in tears. My feet and legs were so sore. Finally, we were in the car and heading back to the Wonderland Hotel for our last night's stay in the Smokies. And then we pulled into the Wonderland's parking lot, and I saw the fire escape, which we had to climb to get to our room. The thought of dragging my poor aching body up those steps was enough to make a grown woman cry. When we came down from Mount LeConte, we said we'd never do anything like that again. But we did. We went out and bought better shoes, and we've been hiking the trails of the Great Smoky Mountains National Park ever since. The Wonderland Hotel is no more. The National Park Service did not renew its lease after 1992. It sat in progressing stages of decay for 15 years before being demolished a few years ago. A new Wonderland Hotel was built just outside the park boundary, but that has now been sold and is being used for other purposes. We have continued to visit our beloved Smokies a couple of times a year since that first visit and have hiked many of its trails, being rewarded with beauty around every curve and over every rise. Unfortunately (or fortunately, depending on how you look at it), we've never managed to get another reservation at LeConte Lodge. We have hiked up there a couple of times, though, going up and back in the same day. 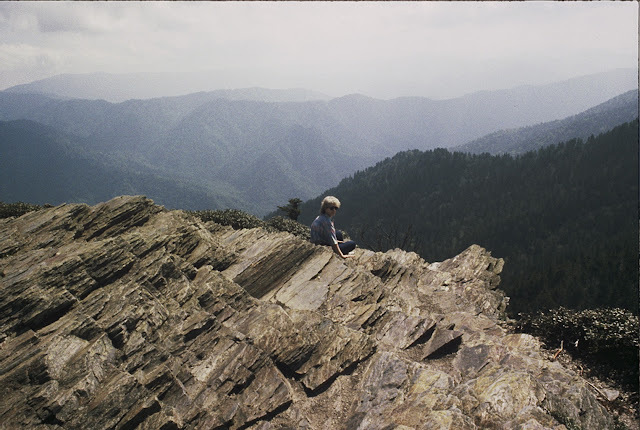 This is a picture of Doug on the Alum Cave Bluff Trail on a later hike to Mount LeConte. If we ever stay overnight again, we'll take some mousetraps. Linda, I can't tell you how much fun it is to read this story again, and with pictures. Sandra-Ha! You made me laugh with your comment about taking our shoes to bed and hiking to the bathroom. It WAS an adventure. This was a fun post to write because it brought back so many memories. Linda, What an adventure? I'm an old backpacker from Colorado, and know how you felt on thet hike to LaConte. The first week we moved to Colorado, in earl September, we decided to hike to the top of Araopahoe Glacier abover Boulder, and a source of drinking water for the city. Boy were we dumb!!! We were in shorts and tennis shoes, and shrtly after we reached the top (I don't know ho many miles but it was about a 6500-7000 foot altitude gain, weather began to move in, strating with clouds, a cold wind, followed by cold rain , then snow. We scmpered down in our totally inadequate tennis shoes with no extra clothing, as fast as we could!!! Talk about sore and cold and wet! So good for you for learning the ropes and going back. We did too, and took many wonderful trips, packs on our backs, over many years. For newbies to such adventures, ask the locals before you go! Oh, I loved the story of your introduction to hiking. It's a wonder more of us novices don't kill ourselves on the trail before we get wise to being prepared. In the 23 years since that first trip to the Smokies, we've slowed down a bit. We still do some hiking, but it's been awhile since we've been up to LeConte. We've never hiked in Colorado, but I know how quickly the weather can change, even in the Smokies. I'm glad to hear you didn't give up but just went back better prepared. My mother retired early from work in 1972 as the Arab Oil boycott hit the economy hard. She was very stressed having been laid off for being too old (she won a settlement with EEOC over it from her former employer) so she decided to get away for awhile that spring while the dogwoods were blooming down South. I was 22, also laid off, and she took me along as a birthday present for me. She had heard talk of the reknown Wonderland Lodge for many years. At one point they had a rack railway that carried wealthy patrons from the Nashville area up the mountain for a cool summer getaway. After a heartstopping drive up winding mountain roads with no guiderails in the dark, we arrived at their parking lot to find we had quite a climb uphill with our luggage (and my mother always packed everything she owned in case she might need it). We were happy to collapse after the hike in our small, cosy panelled room with no tv and the tiniest bathroom we had ever seen. We woke to the glory of the mountains with clouds below us and spring flowers everywhere on paths we wandered for hours. It was a very intimate hotel with all the guests (there were 6 besides us) sitting together at breakfast sharing their memories of the grand times of the past at the Wonderland Hotel and spent much of our time reading the local papers and visiting with the managers and guests sitting on that wide covered front porch. 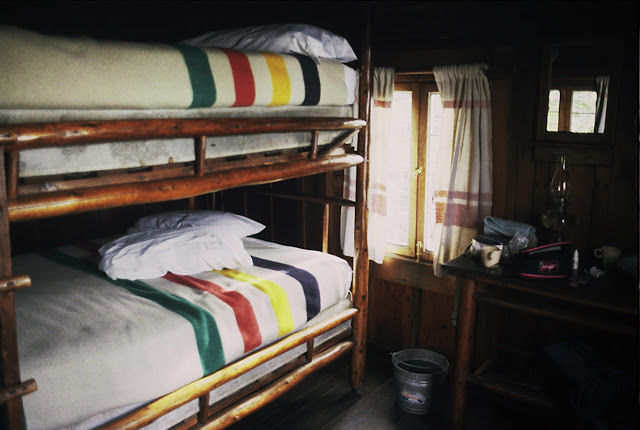 We walked up to the Lodge one day with a packed lunch from the Hotel, but didn't sleep there. The views were unbeatable. 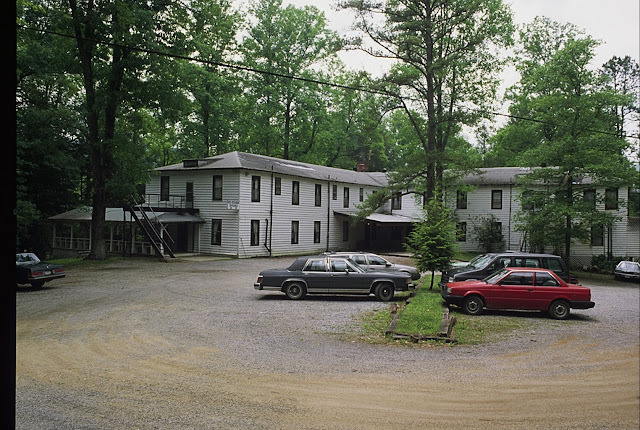 Twenty five years later, I found out we were having our family reunion at the Wonderland Hotel, which was then owned by a family friend's daughter from Mississippi who had worked in Washington DC for years and bought it as an investment for she and her husband's retirement years. 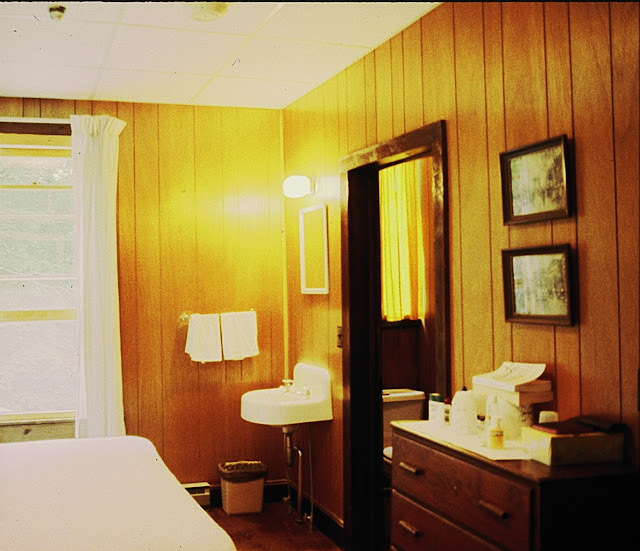 I was so disappointed to find it wasn't the same place Mom and I destressed at back in 1972, and one cousin and I journeyed back to the deteriorated original, a trip which was not so much spooky as it was peaceful and nostalgic. Hi, Judith. How I wish I could have seen the Wonderland in its heyday. When we went that first time in 1990, they already knew that the Park Service was most likely not going to renew their lease; so they weren't keeping it up as that probably would have otherwise. It was very clean, but the structure was already being allowed to deteriorate. Still, there was a special camaraderie among all those who loved the Wonderland, whether they were hikers or campers or business people from Knoxville. Sitting on the porch and visiting with strangers as if they were old friends was not uncommon. 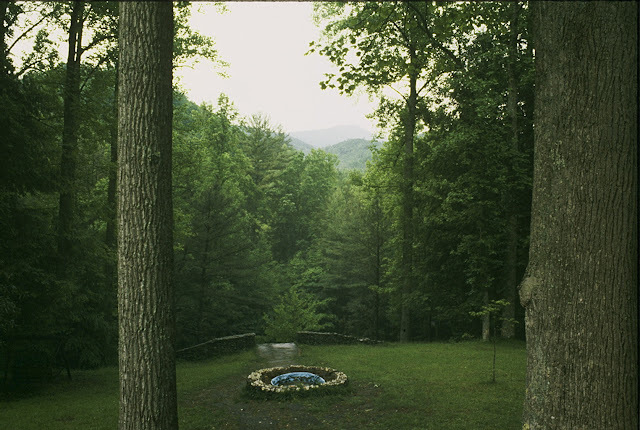 When you went to the family reunion in 1997, it must have been to the New Wonderland, located in Wears Valley. That was still a nice place, but it was never the same as the Old Wonderland in terms of the sense of home that was felt at the old place. Thanks so much for sharing your memories with me here. Thanks for this read! We also fell in love with the smokies some 10 years ago. Although we never were able to stay in the "Wonderland Hotel" or been brave enough to stay overnight in Mt. LeConte (as we have 5 small children) we too have enjoyed the beauty of God's amazing creation. Out of pure coincidence one year as my parents decided to tent at Elkmont we found out about the amazing synchronized fireflies. When we drove out we were amazed not only by the synchronized fireflies but also the once upon a time vacation homes in the area. While taking in most of the smokies you stop and reflect on what life would have been like there for these early pioneers, however Elkmont left us thinking of what a priviledge these many families had being able to have these vacation homes in such amazing beauty. You can visualize these kids playing in the creek and exploring the many things in the mountains. It had to of been an amazing experience. I have never been able to get Elkmont out of my head, and ran past this blog somehow in a search! Thanks for the pictures and story! We have never been there to see the synchronized fireflies as we usually go in spring and fall. That must be a sight to see. I'm glad you stopped by to share some of your own memories. The Smokies are very dear to our hearts, and we love meeting other people who share our love for them. My wife and I stayed at the Wunderland on our first vacation. I beleive it was 1973. It was not as bright a place as pictured above, not as well re-done. It wes run by a lady who said she was having trouble keeping it open, and doubted she could very long. She kept a dog in the commons area that stayed near the fireplace. There was a great aroma from the many years that old fireplace burned. The floor was made from wide planks, and creaked wherever you walked in the building. We only stayed one night because they had fleas, and the bed was a bit sway back. It was memorable though and we wish we could go there again. Wellford, thanks for stopping by here and leaving a comment. Although your experience at the Wonderland wasn't as nice as ours, I can see that it still left its mark on you. The bed wasn't much better than you described when we were there, but there were no flees; and the place was very clean. We can both be grateful that we were able to experience that little piece of history. I enjoyed reading your blog! I wish Wonderland Hotel was still open. I am hoping I can stay at the LeConte Lodge sometime soon.